With more and more of my clients now using an iPhone, I’m really pleased to let you know I now have my own broker app that I would love you to download to your phone. The app has a host of tools and info at your fingertips. Staying in touch with me,finding out how much you could be saving on your loan, or if perhaps you’re thinking about a renovation or investment property the app can help give you an idea of how much you may be able to borrow. 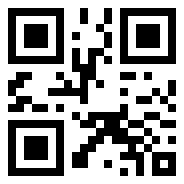 And if you know someone who may be needing help with their finance, you can share my app via email or a QR code. You can check out more about how the app works on the links below.Having a mortgage broker go into bat for you with your finance is the smart way to ensure you’re in the right finance solution and you’re two steps ahead. Staying in touch has now got smarter too. once you have downloaded the app, open it in your iPhone and then scan this QR code with the iPhone. Easy!